This weekend plays host to several cycling events that offer great racing and spectating. This Saturday on June 6, the Adrenaline SoCal Circuit Race takes place in Chula Vista. Riders will race along the 2.8 mile rolling terrain on Hunte Parkway, which overlooks the beautiful Otay Ranch area. The Adrenaline Beer Garden will be featured for spectators and racers to enjoy a cold one after hard day of racing. 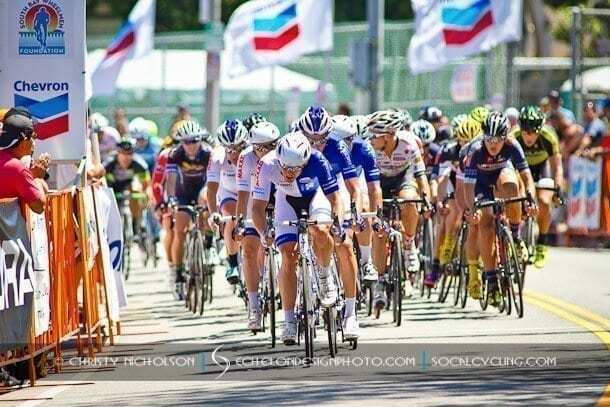 On Sunday, the 54th Annual Manhattan Beach Grand Prix will take place in the beachside community of Manhattan Beach. The event has NCC status for both the Pro Men’s and Women’s categories, which offers an equal prize list of $12,000 for both categories. The Manhattan Beach Grand Prix offers a full day of racing for all categories starting at 7:00 am and concludes with a Kids Race at 3:35 pm. In addition, many of Southern California’s professional men’s and women’s teams and riders will be competing in the prestigious Philadelphia International Cycling Classic on Sunday, June 7. Live Coverage can be viewed online at live.philadelphiainternationalcyclingclassic.com with streaming starting at 7:30 AM EST. We hope you have a great weekend of riding and be sure to check out these great cycling events if you can.